The Strength Standards Tables are back up. Thread: The Strength Standards Tables are back up. We figured that since everybody was going to use them anyway, we'd relabel the categories to minimize the confusion. 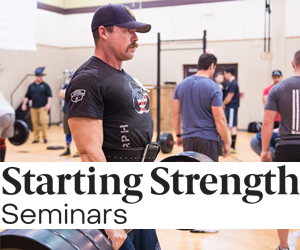 The confusion arose because people insist on conflating the strength levels in the table with the levels of training advancement in Practical Programming for Strength Training. We have retitled the categories to limit the confusion. As before, the numbers are for 1RM in each lift, performed as described in SS:BBT3. The tables may be used with appropriate attribution to this website. Thank you in advance for keeping this in mind. I am surprised though that the "full-quarter squat" is not represented in the chart. You know, since there is no need to go any lower now. Just to be sure I get it. I think what you are saying is that the tables should not be used to decide when to move from, say, SS to the Texas Method. But category 1 still means you will lead a happy sedentary life, 2 that you will be able to do some sport, [forgot the exact sequence] X that you are probably ready for competitive powerlifting, and the final category that you are among the elite. Full-quarter squat is all you need! I'm Cat III on most lifts; I guess that means I need to eat more. For us who use the wrong system, will you publish them in kilograms too?